Have you ever wondered about how coffee went from a bean growing in the wild to a beverage that plays an integral role in society all around the world? This is the first in a series of posts examining its roots and how it has shaped cultures around the world over the last several centuries. Coffee has a history that predates modern record-keeping, so a lot of its earliest roots are based in myth and hearsay. 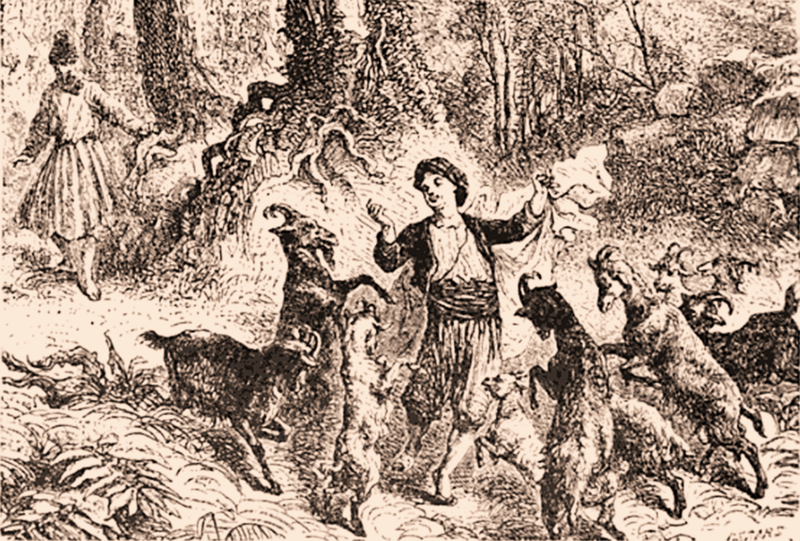 Legend has it that around 740 AD, an Ethiopian goat herder named Kaldi witnessed his herd frollicking and prancing about after eating leaves and red berries from a local bush. After investigating, Kaldi ate a few, and then suddenly found himself joining in the dance! A local monk later heard of Kaldi’s discovery, and thought these magic berries could help him stay focused during long prayer sessions. Word spread, and soon the monastery was running on coffee beans. The berries were eventually brought to Yemen (in approximately the early 15th century), and the grounds began being boiled into a liquid. In Yemen the beverage took on the name “qahwa,” a term formerly used for wine. Coffee would later be introduced to Europeans as ‘The Wine of Islam’ – scholars have deduced from the etymology of the word Qahwa that the Arabic root q-h-w denotes the act of lessening desire for something. Just as wine removes one’s desire to eat, so too coffee removes one’s desire to sleep. Coffee became a supplement for fervent prayer in the Islamic faith, helping people reach the apex of what was known as قهوة معنويّة or “qahwah ma’nawiyya,” a sort of enlightenment/trance state. Once coffee got to Mecca and the devout people of Islam’s capital city, word began to spread, and coffee was soon being drank by Muslims all over the world. 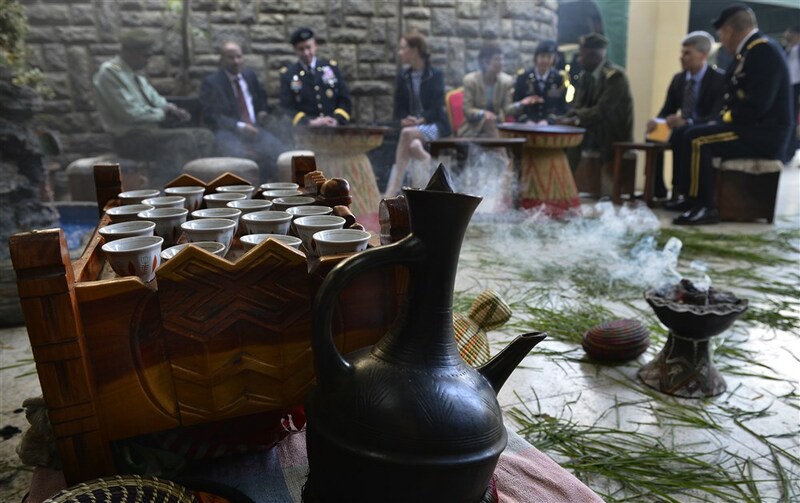 As time went on, coffee as a beverage became a staple of daily life back in Ethiopia, too, in the form of a coffee ceremony that is to this day a part of the traditional culture of the country. We got to learn a little bit about the Ethiopian coffee ceremony from Elias Gurmu of Cafe Buunni in Washington Heights, New York, who is originally from Addis Ababa, the capital of Ethiopia. 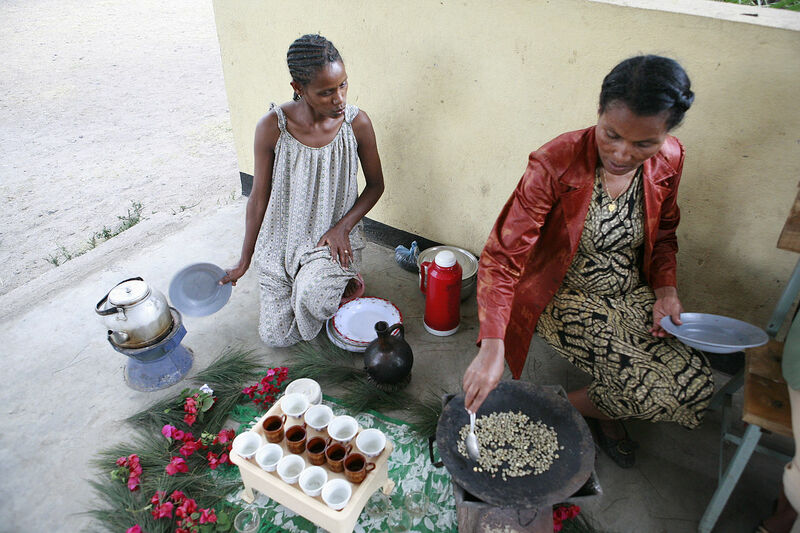 He and his wife Sarina run the cafe together, and pride themselves on the Ethiopian coffee they serve, as well as their ties to the rich history of coffee in Ethiopia. The ceremony would generally go as follows: the woman of the household brews the coffee (this is considered a great honor). First, she roasts the green coffee beans over open flame, and then grinds them, traditionally with a mortar and pestle. Next, there are three rounds of boiling to turn the flavors of the beans into the beverage we all know and love. Once ready, the coffee is poured from about a foot above the cups, and the hostess doesn’t stop pouring until every cup is filled. Elias taught us the Ethiopian proverb “ye Bunna sibatu mefajetu,” which literally means coffee tastes better when it’s hot. 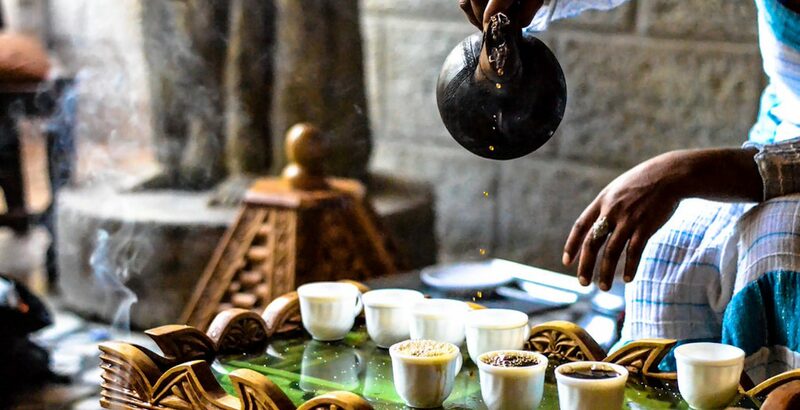 This saying speaks to the importance of the ceremony to Ethiopian culture, and the emphasis on serving coffee fresh, and piping hot. 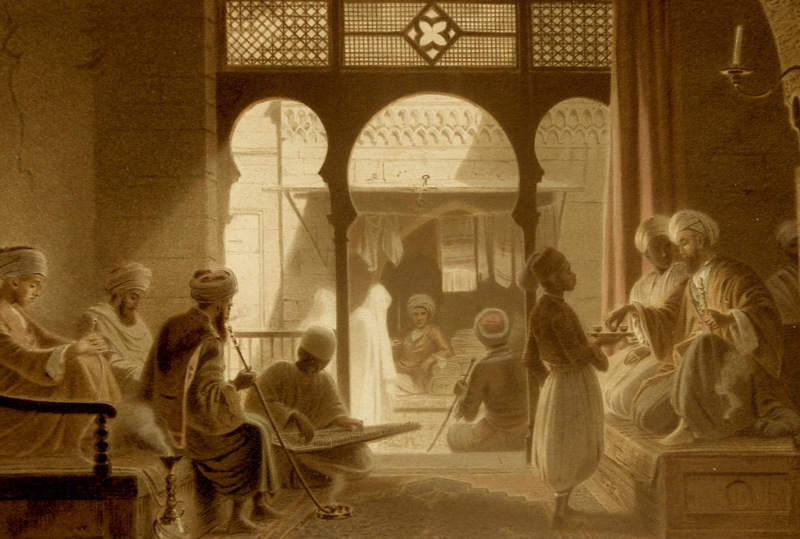 In our next installment, we’ll tackle the effects that the coffeehouse had on both European and Middle Eastern culture around the 16th century. O Coffee! Thou dost dispel all care, thou are the object of desire to the scholar. Coffee it our gold. Wherever it is served, one enjoys the society of the noblest and most generous men. O drink! As harmless as pure milk, which differs from it only in blackness.